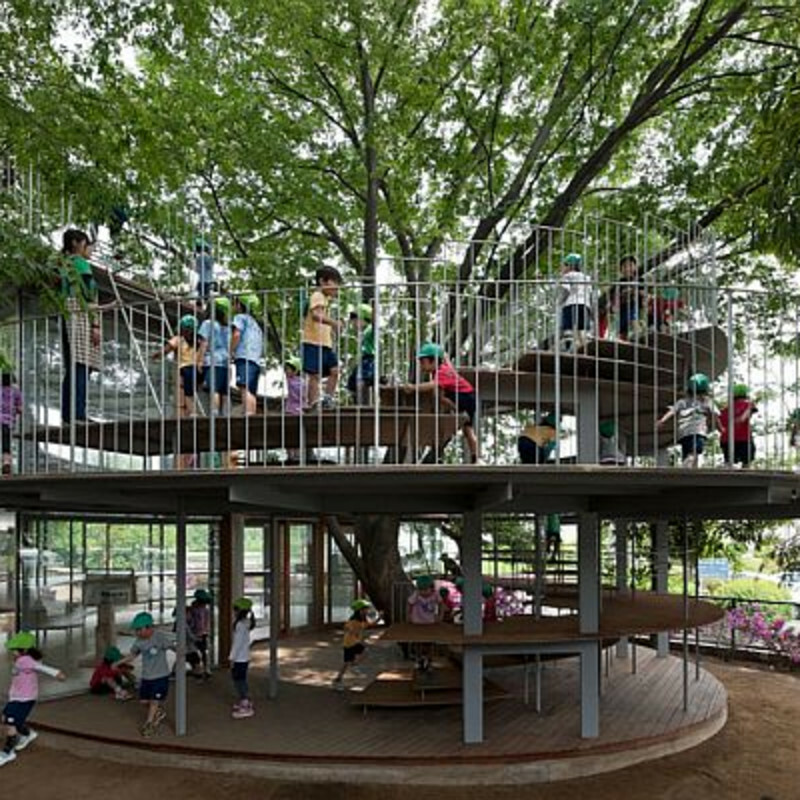 Tezuka Architects have created a very ingenious and interesting structure at a kindergarten in Tachikawa, Tokyo, Japan. It’s a sort of playground that has been built around a beautiful tree. It’s called Ring Around a Tree and both the kids and the adults love it. In the center of the structure there’s a big tree with several big branches coming out. The tree has been preserved in order to ensure the parents that it’s safe. It’s a great way to bring the kids in contact with nature, to educate them in this direction and to try to make them understand that nature is a very important aspect and it should be protected.